Pumppower Ltd - your autostart engine specialists. 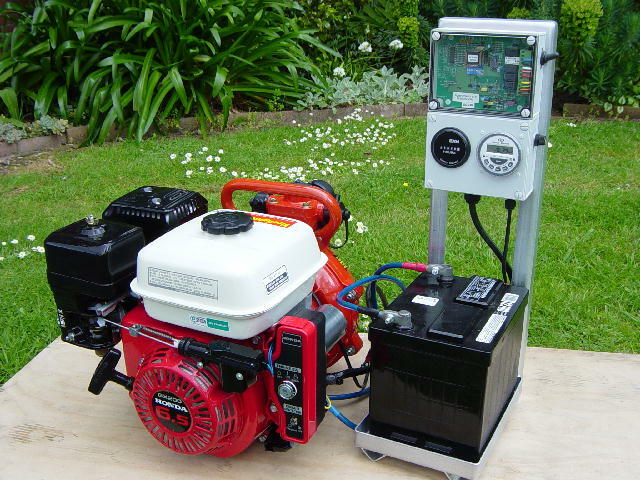 Pump Power Ltd. specializes in the development and manufacture of autostart engine controllers and autostart equipment. From pumping water for stock at the back of the farm to protecting a valuable grape harvest from frost. 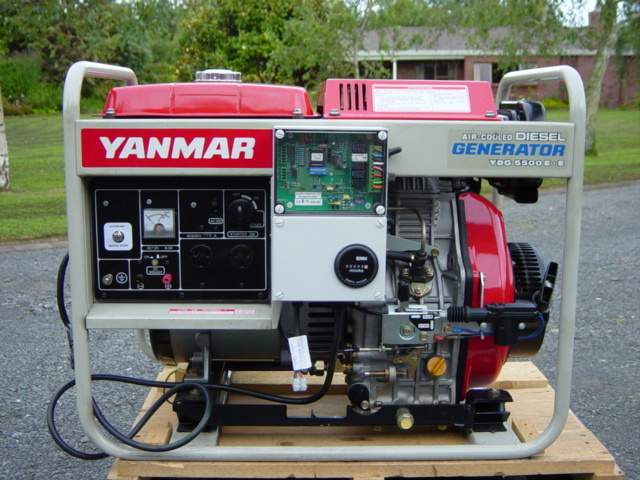 From generators, UPS and mains power back up to sprinkler systems protecting homes from bush fires. These are just a few of the applications where the Pump Power Ltd autostart engine controller is relied upon. Designed for both diesel and petrol engine driven applications the Pump Power Ltd autostart engine controller detects inputs from sensors/signals then autostarts and stops the application as required and provides system and engine fault shut down protection. 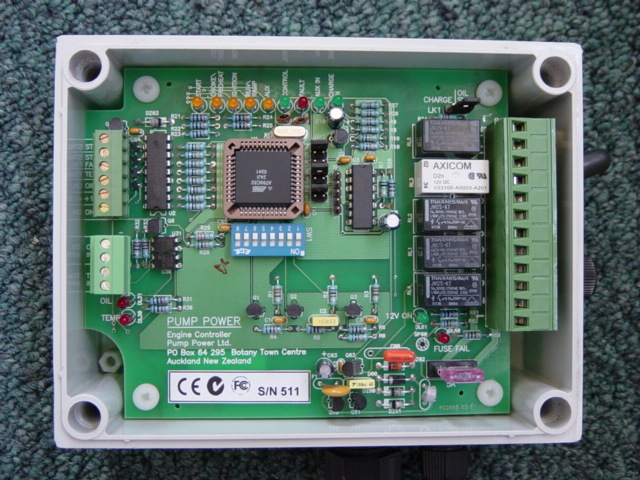 Following many years experience and testing, Pump Power Ltd have developed a selectable inventory of programmed control systems for specific autostart applications. Once installed simply select by link pins and dip switch the control system to suit your application. The highest standards in design, testing and product assembly has seen the Pump Power Ltd autostart engine controller gain CE, C tick and FCC accreditation.